This is a gorgeous soft slipover dress in a women's size small. 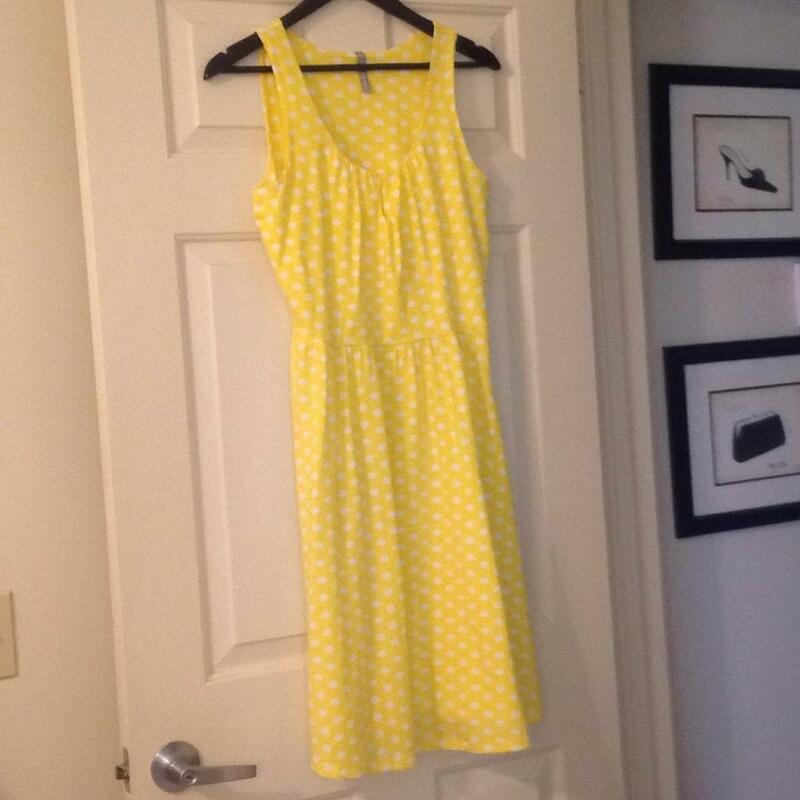 The fabric blend of 57% cotton, 37% rayon and 6% spandex makes it give and stretch and stay soft wash after wash. Beautiful drape to the skirt, and there is a peephole (keyhole) at the gathered chest. 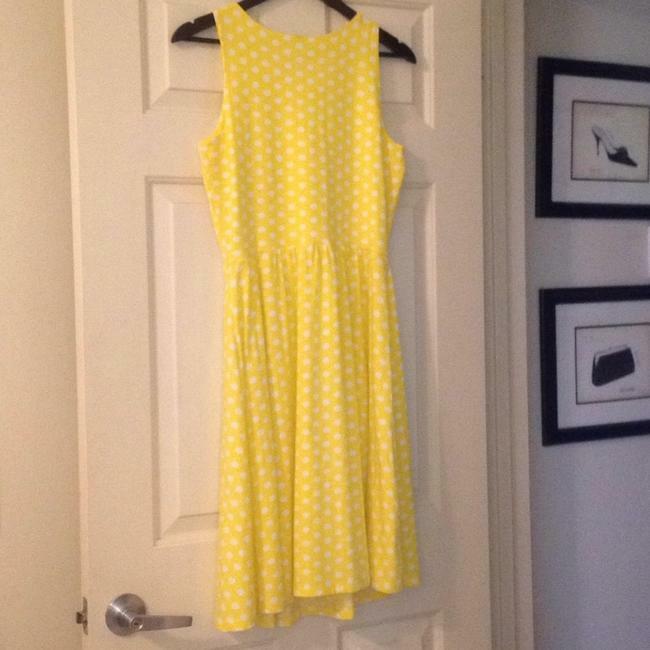 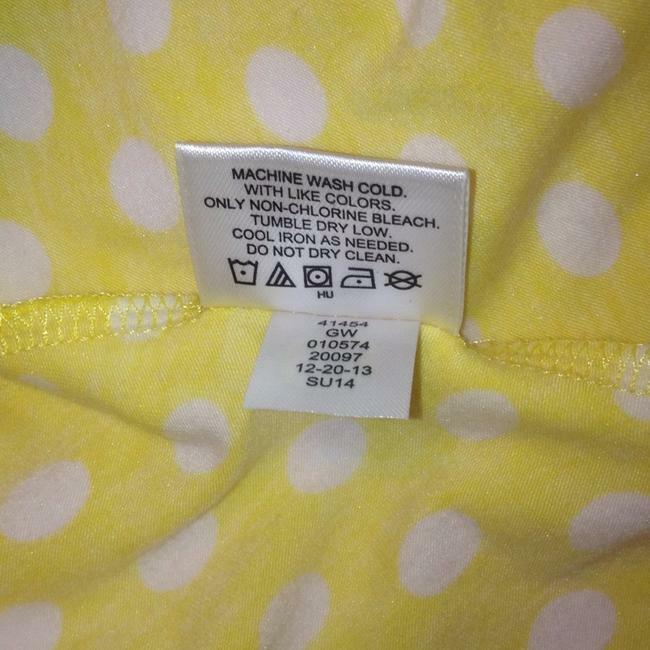 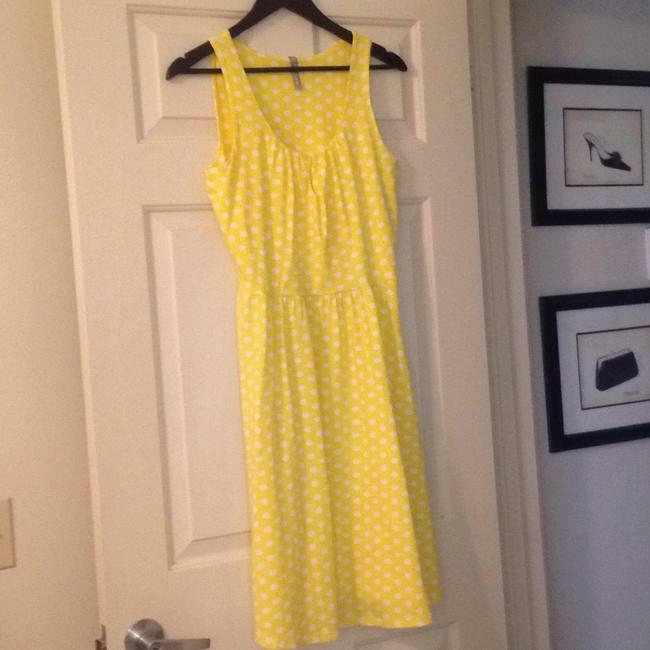 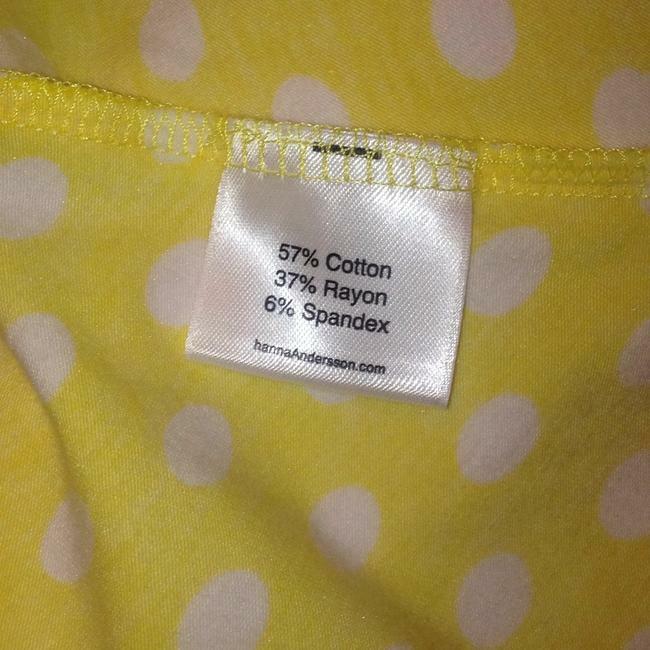 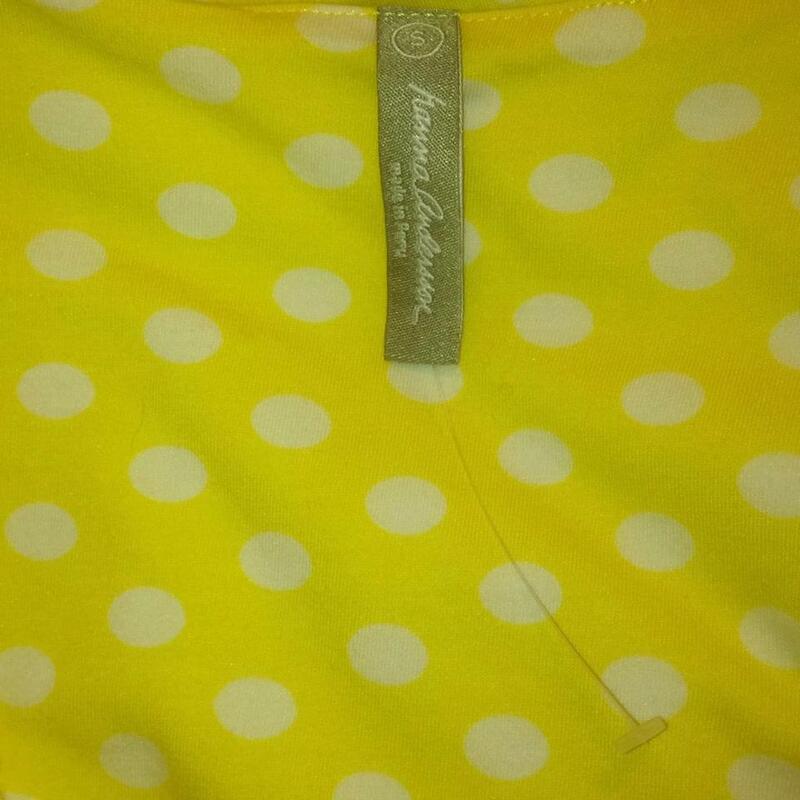 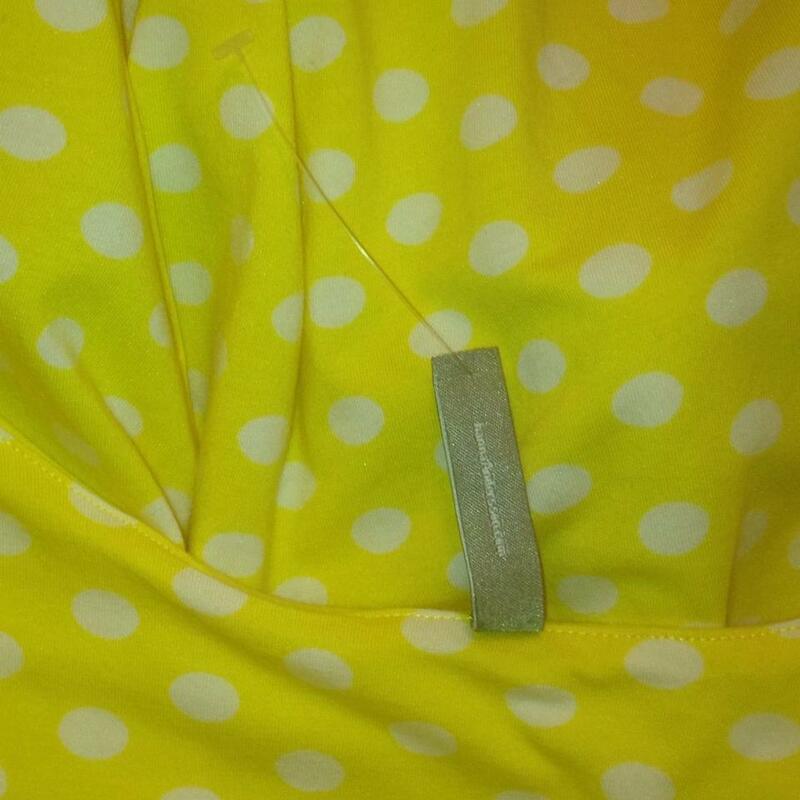 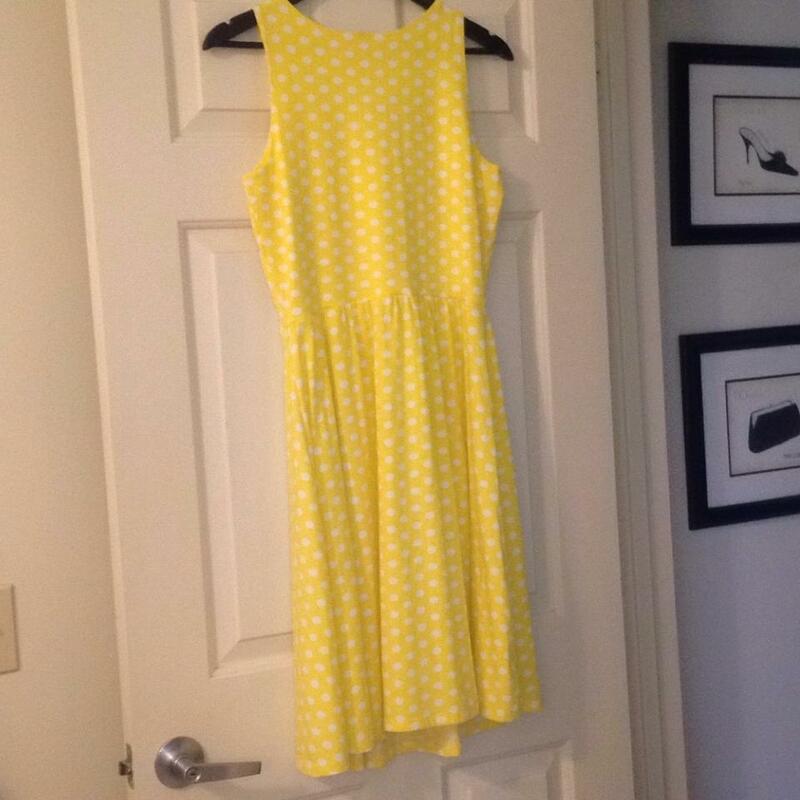 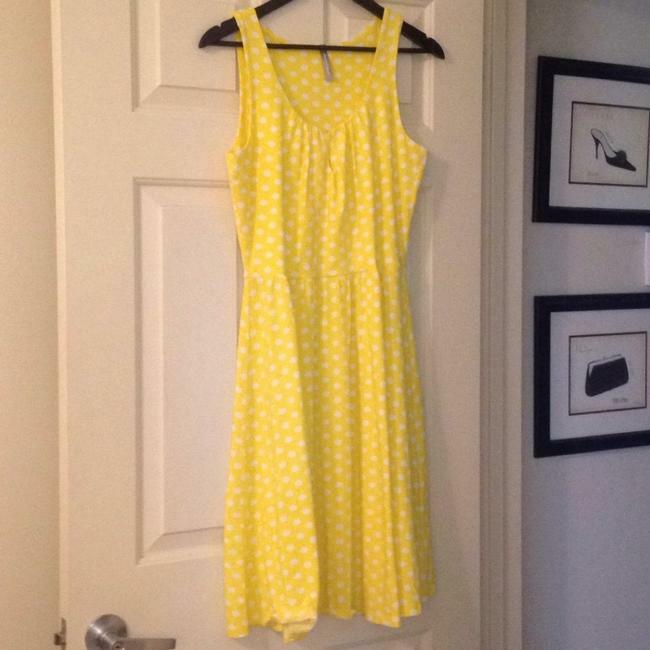 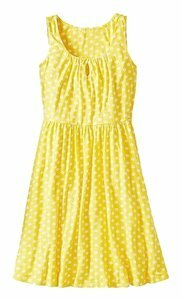 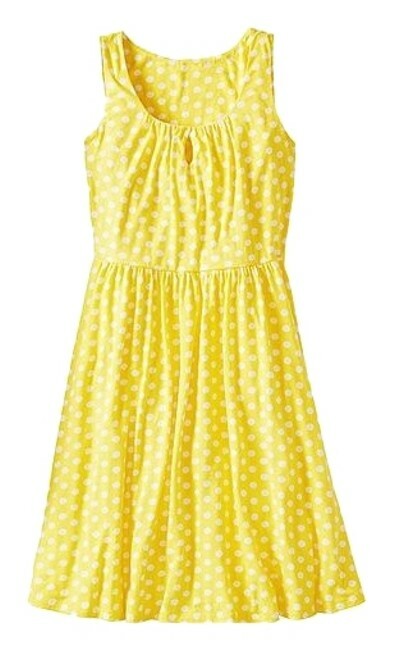 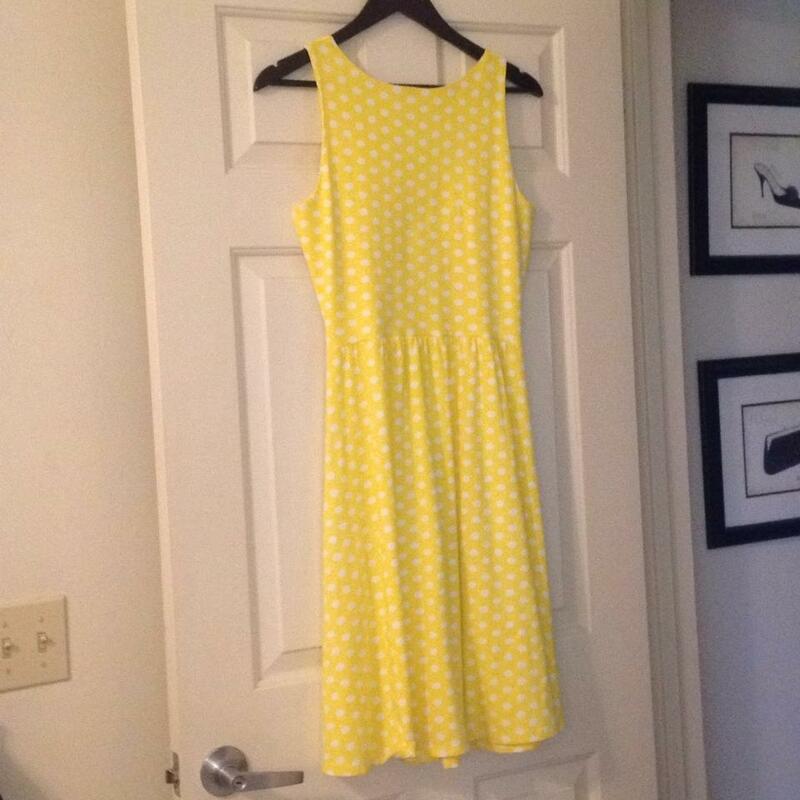 The playful yellow polka dot design is flirty, feminine and bold.